As you work through the adoption process, please understand that our first and ONLY concern is the happiness and welfare of THE DOG. 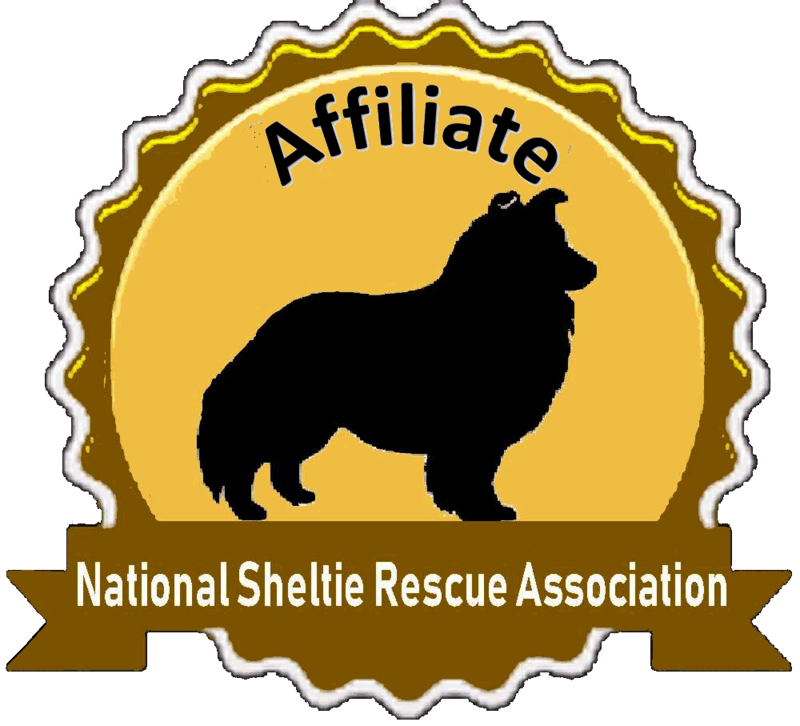 Before you adopt a Sheltie, please make sure you know this breed. Shelties have many wonderful traits ....but they also have some not-so-wonderful traits. First of all, shelties are barkers. They don't bark at everything.... but a sheltie will warn you if the UPS man arrives, or someone walks into your yard....or if something is 'not right'. If a barking dog will bother you, this may not be the right breed for you. Second, Shelties shed. This is a double coated, long haired breed. Their coat does need a fair amount of care. A good brushing at least once a week and a bath once a month will suffice. Third, Shelties can be very shy with strangers. 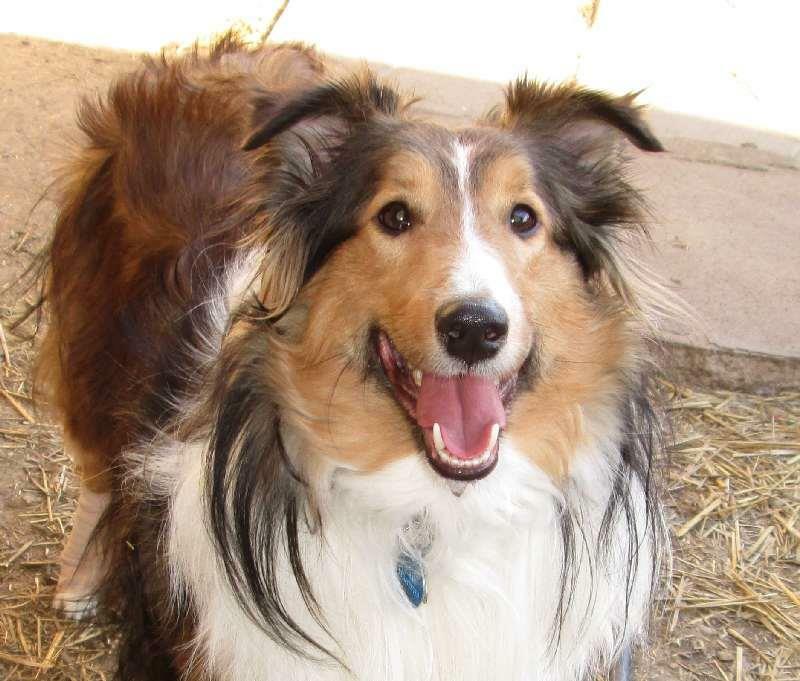 A sheltie will be very affectionate and loving with its owners, but may be very shy with strangers. If you are looking for a dog that will run and greet everyone who comes to visit you..... this may not be the breed for you. Often, a sheltie will hide when a stranger comes over. Please consider this if you plan on hiring strangers to care for your sheltie while you are gone. And last....shelties are a herding dog. They herd children, squirrels, bunnies ....etc. Unfortunately, some Shelties also enjoy herding cars! That is why a fenced yard is so important for the dogs safety. A fenced yard We do require a fully fenced (at least the rear) yard to adopt a dog from us. A physical fence shows us the committment to a dogs safety that we need to see in an adoptive home. An invisible fence, a dog kennel, a dog run, a tie out chain or other cheap alternatives are all NOT acceptable. Our dogs deserve (and get) only the best. Out of the Area? We will gladly do a "long distance" adoption, however we do not ship our dogs. We would expect you to come and pick up your dog. A Sheltie would be miserable as an "outdoor" dog, therefore we won't even consider it. A Sheltie is a very loving and loyal dog, that needs attention and affection. A Sheltie will want to be with the family, wherever that may be. We will only consider those homes who want a Sheltie as an indoor family member. Further, IF in one of our follow up visits, we find one of our dogs is EVER left outdoors unattended, we will reclaim the dog. We do not have a shelter. Our whole organization is made up of volunteer foster homes. We have dogs in foster homes all over the state. So...it is not possible to go to a "shelter" to view all our dogs. We ask that you submit an application first, and once you are approved to adopt, we will suggest a few dogs and make arrangements for you to meet them. We do not place dogs in homes that we do not believe will work out..... so please respect our advice. For the safety of our dogs, we place our dogs in homes with (real) fenced yards. Invisible fences are not considered a fence. If you have young children (under 6), please don't ask for a puppy. Children hurt puppies. An adult dog could protect itself better from small children. If you are elderly, please don't ask us for a puppy. If you are gone all day long, please don't ask us for a puppy or a very young dog. It's just not fair to the dog. A bored Sheltie will bark excessively and may become destructive. If you currently own a pet that is not spayed or neutered, you will not be considered for adoption, unless surgery for your pet is medically contraindicated or you are actively showing your pet in conformation. We only are interested in working with responsible pet owners. If your current pets are not kept up to date on all shots and preventatives, you will not be considered for adoption. The dog may never be allowed off a leash unless it is in a securely fenced yard. Period. The dog must wear ID tags at all times. ..will chew or dig from boredom. Good choice for someone who is home only part of the day. The first step to adoption is filling out a written application. Once we review your application, someone from our group will call you and set up a time that we can come to your home to meet you and your family. (We like to see where our dogs are going) Once you have been approved, you may begin meeting our dogs. The fee's to adopt a dog are as follows. Since we are a strictly volunteer group, you may always donate more than the stated amount. All fee's includes spay or neuter (even on puppies), shots, heartworm preventative, flea prevention, worming, grooming, and a dental cleaning if needed. A medical history record comes with each dog. Now.... If by chance, you are only willing to take a young, perfect sheltie, please let me know right up front, and I will put you on my "perfect dog waiting list".....and I promise to call you as soon as the dog comes in.